The corporate social responsibility (CSR) program of SN Aboitiz Power Group (SNAP) took a special focus on governance in 2017 to strengthen government-private sector partnerships in community development projects. 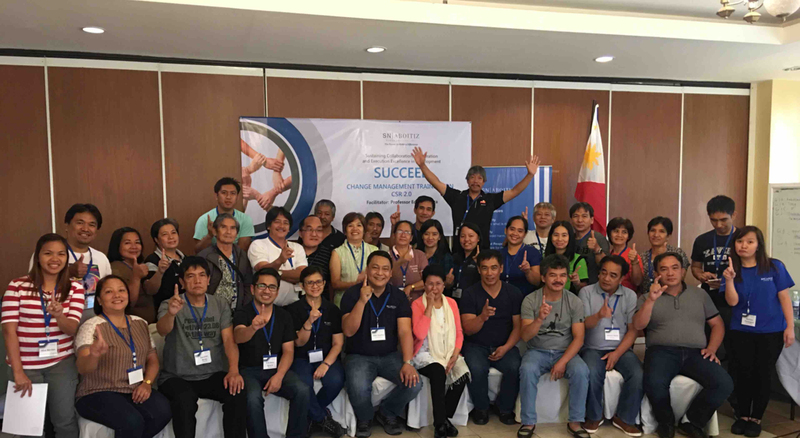 Over a seven-month period, the hydroelectric power group held a series of intensive trainings for its host local government units (LGUS) and communities under a program called Sustaining Collaboration and Cooperation for Execution Excellence in Development (SUCCEED). The program aligns SNAP’s CSR 2.0 with the development mandate of its host communities beyond providing CSR funds and resources. SUCCEED aims to introduce strategic management principles in development management by LGUs. According to Atty. Mike Hosillos, Vice President and Chief Corporate Services of SNAP Group, a key challenge encountered in implementing community development project is how to ensure that the projects funded and implemented by SNAP with the LGU address identified development gaps and are executed in a sustainable and effective manner. “By capacitating LGUs to align their proposed community investments with their development plans, SNAP aims to enhance its CSR 2.0 implementation and effectiveness and achieve its vision of powering positive change. SUCCEED is an ambitious undertaking, with SNAP blazing the trail of a private-public sector partnership in governance probably not yet seen in CSR policy and practice in the Philippines,” he added. The program took off in May 2017 with training services commissioned from Professor Fredelita C. Guiza, a development management expert and former secretary for Food Security and Agricultural Modernization. Seven trainings on strategic planning were conducted, kicking off with SNAP’s CSR and Sustainability (CSRS) Team on May 30-31 and followed by sessions with host communities: Alfonso Lista, Ifugao (July 3-6); Cordon, Isabela (July 12-14); Diadi, Nueva Vizcaya (Aug 9-11); Bokod, Benguet (September 13-15); Ramon, Isabela (November 8-10) and Tinongdan Indigenous Peoples Organization (November 14-16). Six host communities represented by 176 participants attended the trainings. Representatives from key local government departments and offices participated the LGU trainings in while the Council of Elders, ancestral domain members, and IPO staff represented TINPO. According to Sr. Manager for CSRS Vitti Valenzuela, SUCCEED is designed in three stages for implementation in three years, starting 2017. Stage 1 involves strategic planning in SNAP and its host communities; Stage 2 calls for the joint development a CSR Partnership Map and a Community Investment Program (CIP) guiding the future design and funding of CSR initiatives, and monitoring of project effectiveness. Stage 3 involves a CSR project portfolio determined by its CIPs, and the launch of the CSR and Sustainability Academy (CSR-ACAD) to program the design and delivery of capacity building among its stakeholders. SUCCEED will also support partnership capabilities and opportunities in the areas of project design and management, monitoring and evaluation as well as leadership and organization development. SUCCEED will continue in 2018 with strategic planning training for the remaining host municipalities in Benguet, Ifugao, and Nueva Vizcaya and Stage 2 on CSR Strategy Mapping and CIP Preparation. As the owner and operator of Ambuklao, Binga, Magat and Maris hydros, SNAP sees the program as the seat of meaningful and sustainable partnerships with host communities in the next development decade.